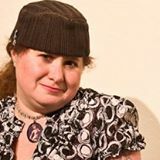 On Sunday, September 18th from 12-2pm, join Left Coast Writers® Live on FCCFREE RADIO’s popular show, Lilycat on Stuff. Lilycat’s guest on Sunday will be Bill Zarchy. Bill Zarchy is a writer and teacher and recently retired director of photography in San Francisco. He has shot film and video projects in 30 countries and 40 states, including three former presidents for the Emmy-winning West Wing Documentary Special, the Grammy-winning Please Hammer Don’t Hurt ‘Em, feature films Conceiving Ada and Read You Like A Book, PBS science series Closer to Truth, musical performances as diverse as the Grateful Dead, Weird Al Yankovic, and Wagner’s Ring Cycle, and countless high-end projects for technology and medical companies. His tales from the road, personal essays, and technical articles have appeared in Travelers’ Tales and Chicken Soup for the Soul anthologies, theSan Francisco Chronicle and other newspapers, and American Cinematographer, Emmy, and other trade magazines. His stories have won eight silver and bronze certificates in the Annual Solas Awards for Travel Writing. Bill’s first book, Showdown at Shinagawa: Tales of Filming from Bombay to Brazil, chronicles his work and travels in the unpredictable, sometimes dark, often comical world of the film and video business. His second book, currently in progress, is a time travel novel called Finding George Washington. Bill has a BA in Government from Dartmouth and an MA in Film from Stanford. He taught Advanced Cinematography at San Francisco State for 12 years, as well as lighting courses and workshops at four other colleges. Showdown at Shinagawa is more than a travel memoir. It is also a book about the film and video industry, a workaday account of doing business in a myriad of locations across the U.S. and around the world. Where many travel narratives detail searches for interesting encounters, environments, and experiences, Showdown at Shinagawa tells of going places with an agenda–a job to do, a crew to hire, a production to shoot. Unlike tourists visiting to see the sights or seek enlightenment, the author and his colleagues deal with the locals in substantive ways, and the results are often poignant, puzzling, or comical–sometimes all three at once.